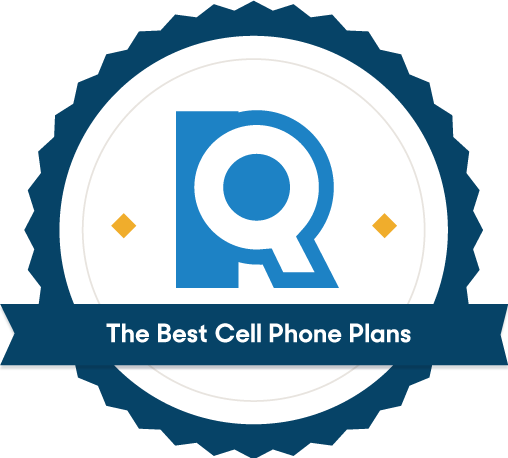 Finding the best cell phone plans involves more than just looking at the speeds, coverage, and reliability. It also involves personal details like where you live, how many lines you want, how much you’re willing to spend. That’s why we took the time to analyze the plans, speak with experts and crunch the data in order to help guide you to the best carrier for your needs. Our search started with the most basic principle of cell service — a reliable network. We turned to RootMetrics, a survey operation that tests the "Big Four" mobile networks (Verizon, T-Mobile, AT&T, and Sprint) and provides an accurate, unbiased account of which networks perform best from a consumer’s point of view. How does RootMetrics test service? RootMetrics strives to be as comprehensive as possible in its methodology, which includes testing reliability and speed during file uploads and downloads, while downloading email, and while downloading files similar to typical web pages. Testers also measure how reliably each network places and maintains calls and how reliably and quickly subscribers can send and receive text messages. We favored carriers that score well in reliability and performance, but the best for you could be different depending on where you live. Once we had an understanding of performance, we dug into the phone plans carriers offered and the prices they charged. Unless you’re purchasing a prepaid plan, the days of phone minutes and a nickel for every text are past — prices are based on data now. The best value is typically an unlimited data plan, but we looked into plans with tiered data, too. You’ll want to think about how often you use internet data (when not on Wi-Fi) to find a plan that fits your needs. It’s important to know that unlimited never means truly unlimited. But it does mean that the amount of data you receive is so high, it’s unlikely you’ll run out. Most providers cap their “unlimited” data between 22 GB and 80 GB. The allotment is a far cry above standard 3 GB to 10 GB plans. We compared the price for these plans, too, which can run as low as $30 and as high as $75. Cell phone plans also become significantly cheaper per line as you add to the plan. No shame for the new grad for staying on their parents' family plan — everyone is getting a better deal. Our favorite providers offered a reasonable price for generous data allotments. Carriers will often sweeten the deal by partnering with other companies to offer promotional deals like free Netflix, Amazon Prime, or Apple Music. This increases the overall value of the plan if you’d be paying for these services otherwise — and ultimately increased their ranking in our top picks. 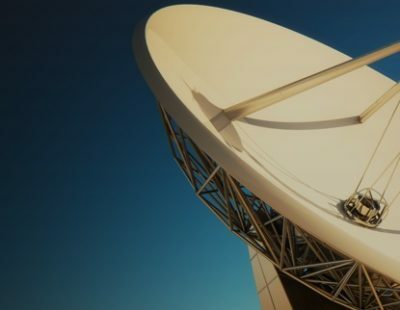 We also evaluated other features like international options and opportunities to bundle with another telecommunication service like television. Cell phone plans that came with these extra perks stood out amongst the competition based on their appeal for a wide variety of shoppers. RootMetrics gives out regional awards to carriers that are top performers in categories like network speed and reliability, call quality, and data performance. Verizon swept the table in 2018, earning 117 of 125 possible awards. The next closest was AT&T with 42 (providers could tie, which is why the numbers don't exactly add up). The difference between those numbers shows Verizon truly has the best track record for offering its customers a reliable network and satisfying performance across the U.S.
Perhaps most impressive are Verizon’s data speeds. 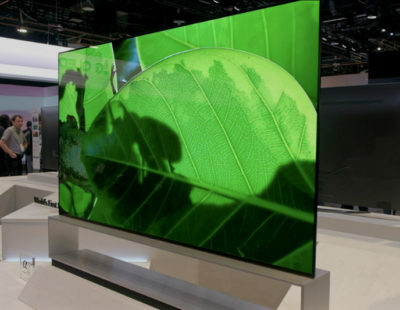 Verizon is on the forefront of new technology; it’s one of the first providers to have adopted new 5G technology, which promises speeds in the 200 Mbps to 300 Mbps range. While this figure has yet to be corroborated by long-term experience in the real world, it’s safe to say it will mark a considerable step up from the 4G LTE network’s peak download speeds of 50 Mbps. Verizon claims that this technology works by combining multiple wireless connections together to create what amounts to a bigger, stronger channel piping data straight to your phone. Verizon’s plans are consistently more expensive than those of its competitors. For example, the T-Mobile One unlimited plan starts at $70 for one line, with data speed throttled at 50 GB. Verizon’s basic unlimited plan, by comparison, starts at $75, with data speed slowed at unpredictable times based on congestion. The next tier guarantees fast speeds until you hit 22 GB, with a price hike up to $85; the most advanced plan, with throttling at 75 GB, costs $95 for a single line. On top of that, Verizon doesn’t include taxes and fees in its advertised price as T-Mobile does. Verizon’s higher price could be worth its dependability in your area, but be aware that there may be more than a little sticker shock when it comes time to pay your bill. After prodding Verizon to end overage fees with a nifty bit of skywriting in 2015, the “Uncarrier” T-Mobile played its trump card by switching all subscribers over to a single unlimited plan known as T-Mobile One. As of September 2018, all new subscribers receive unlimited talk, text, and 4G LTE data. And though “unlimited” is never truly unlimited, T-Mobile doesn’t start throttling speeds until you’ve hit 50 GB of data usage. It’s a generous limit at a great value — especially because video and music streaming won’t count toward that data cap. T-Mobile One costs $70 for one line, and each additional line is about $10 cheaper. T-Mobile prices include taxes and fees, while Verizon’s comparable 75 GB plan costs $95 before taxes and fees. And if an unlimited data plan sounds like overkill to you, T-Mobile also has you covered. It offers the cheapest talk/text plan for those who don’t need data — just $20 per month per line. T-Mobile offers its customers extra perks and features to increase its value. Its international plan is unmatched, with text and data in more than 210 countries. Its plans also come with free in-flight texting, one hour of in-flight data use, and a free two-screen subscription to Netflix when you sign up for two lines or more. Outside of plan-based perks, the T-Mobile Tuesday app also offers weekly prizes like free movie rentals, discounted movie tickets, money toward Dunkin’ Donuts or Baskin-Robbins, and opportunities to win sweepstakes. While the company has made impressive strides to increase network coverage, it still isn’t on par with AT&T and Verizon, particularly in remote areas. Be sure to check the network near your address and places you frequent before going all-in with T-Mobile. The one place where AT&T holds a competitive advantage is in its bundles. In mid-2015, AT&T merged with satellite TV provider DIRECTV, making bundling discounts available for the first time. In 2018, the DIRECTV live streaming service is paired with its unlimited phone plans, providing more than 30 live TV channels that you can stream on any platform. You won’t dramatically slash your bill by bundling, but these deals make AT&T worth considering if you’re a heavy data user (in the 22 GB range) and you also need a paid TV service. AT&T falls behind Verizon for network coverage, but its performance is reliable in more markets than Sprint. 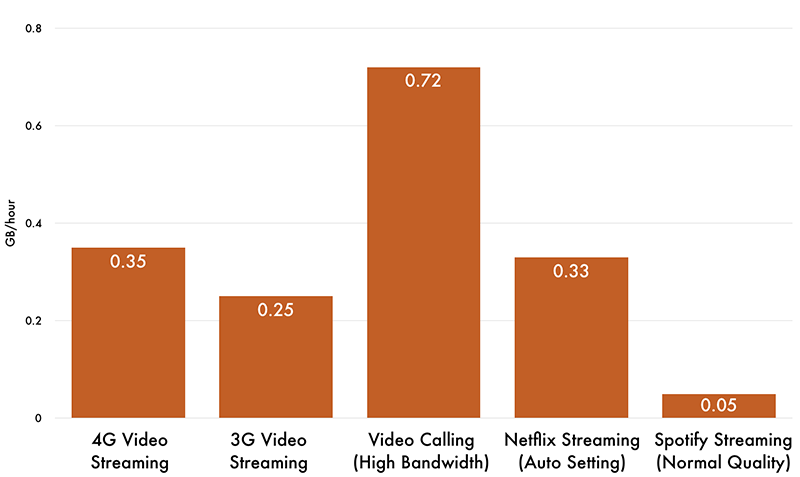 If your first priority is call performance across many areas, AT&T is good a bet. In RootMetrics’ report, it came in second with 42 out of 125 possible. With every carrier, unlimited data isn’t truly unlimited — but AT&T sets the limit unusually low, with every unlimited plan throttling speed after 22 GB of data usage. That’s half of T-Mobile’s data limit. If you spend a lot of time streaming or browsing social media in places without Wi-Fi, there’s a chance you could go over your limit. If you’re in search of a budget option but don’t want to give up the reliability of Big Four service, Sprint has a range of plans that hit their target. It has the cheapest unlimited data plan, starting at $60 per month. Sprint also tends to run numerous half-off promotions that can provide an extra nudge. Its current promotion offers the third, fourth, and fifth line free if you switch from another provider. It’s common for carriers to offer subscriptions to entertainment services as promotions. Sprint goes above and beyond the competition by partnering with four services: You can get free subscriptions to Hulu, TIDAL music, Amazon Prime, and Lookout mobile security. This adds to the value of Sprint’s plans, especially for customers already paying for some of these services. Sprint has tried to position itself as the budget brand, with reliability that beats T-Mobile and performs within 1% of Verizon and AT&T. That’s a bit misleading, because reliability only measures “accessibility and retainability of voice calls and data sessions” and doesn’t account for network speed or overall coverage. RootMetrics’ scores and map confirm that Sprint’s network is notably less extensive than Verizon’s, and it ranks dead last in terms of overall data speeds. You’ll want to start your shopping by checking for the strongest networks in your area. RootMetrics lets you check network coverage in your neighborhood and you can search the site’s map by area code, city, or neighborhood, and zoom in as much as you want — the site analyzes coverage almost to the backyard level. You can apply filters from the drop-down menu to look at specific providers or at specific types of coverage, like voice versus data. We’d recommend comparing two providers with the strongest coverage in areas you frequent, like home, work, or school. A comparison of estimated data usage for common scenarios. Once you know what you’ll need, and from which providers, it’s time to compare the costs and find the best phone deals for you. You’ll want to factor in any taxes and fees, as well as additional features that increase the overall value of your package. If you have several lines to add, look for promotions that take down the price for family plans. And don’t skip out on auto-pay; it saves you $5 with every carrier. Should I get a prepaid cell phone plan? If you have eyes only for your budget, we’d suggest avoiding the Big Four entirely and instead choosing a cheaper MVNO provider like Cricket or Republic Wireless. MVNOs do not operate their own networks and instead offer access to one or several of the major carriers’ networks at a reduced cost. Choosing the right MVNO requires knowing which network it uses and whether that network works well where you live. Although prepaid and MVNO plans are cheaper, data is typically limited to around 3 GB; the highest cap we were able to find was 10GB. In other words, these plans are only going to work if you use very little data. You also won’t have access to lightning-fast load times or recently released smartphones. You’ll need to stick with a major carrier for either of these perks. Do phone carriers do credit checks? Yes. Credit checks help carriers determine if you’ll need to put money down for financed devices. Most often it’s a soft credit check, and it won’t affect your credit score. If you’d rather opt out, prepaid phone plans don’t require credit checks. Do cell phone carriers have military discounts? Yes. All of our top picks offer various discounts on phone service for service members, veterans, and their families. This can mean a discounted plan, a percentage off the bill, or discounted accessories. We’ve spent years reviewing all things mobile. If you’re looking for alternative plans, or if you want more information on individual providers, check out our other reviews below.